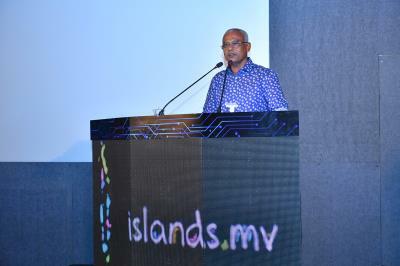 President Ibrahim Mohamed Solih has launched the government’s web portal “islands.mv”, which will facilitate the local island councils to proactively market their respective islands in all areas. 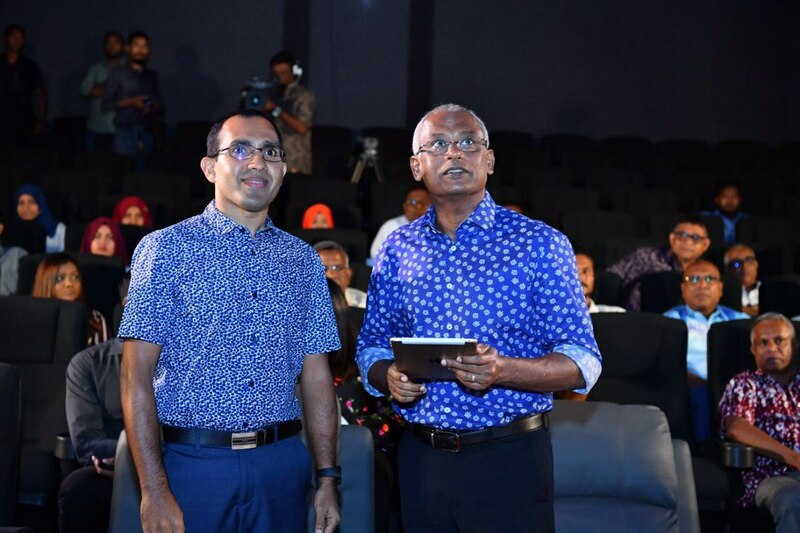 The launching ceremony was held this evening at the Hulhumale’ Schwack Cinema. The portal is part of the government’s first 100 days’ goals of enabling and empowering the local councils more. Islands.mv will act as the digital front office of each island, providing comprehensive information for interested visitors, including its unique features, tourist facilities and resources available, and economic activities in the island. Speaking at the ceremony, President Solih underscored the high priority accorded by his administration to transfer the powers and responsibilities of the local councils which have been previously held by the government, back to the councils. He also expressed his confidence that the portal launched this evening will be a beneficial resource to all potential visitors to the island.